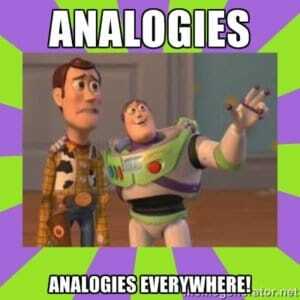 Analogies used to be a common feature on standardized testing, but they have largely been removed in recent years. Some students interested in the MAT may be wondering, “what is an MAT analogy?” Let’s take a look at what makes a statement an analogy. I’ll stick closely to what the MAT describes as an analogy in both the official study guide and the candidate information booklet. An analogy such as this can be read in one of two ways: “A is related to B in the same way that C is related to D” or as “A is related to C in the same way as B is related to D.” This is an important note when answering questions on the MAT; MAT analogies will never relate A to D or B to C. When looking for connections, you can ignore this latter formulation. In this case, Napoleon is a famous leader/general of France. Similarly, Hannibal is a famous leader/general of Carthage (choice A). This, then, is the A to B and C to D connection. 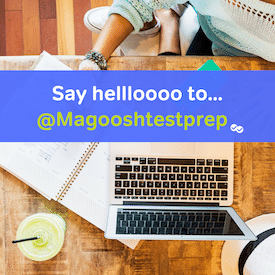 For more information on analogies, be sure to read through the official study guide, the candidate information booklet, and the Magoosh MAT blog!